Season Nine of Doctor Who ran from January 1, 1972 to June 24, 1972. It contained 26 episodes across 5 stories. 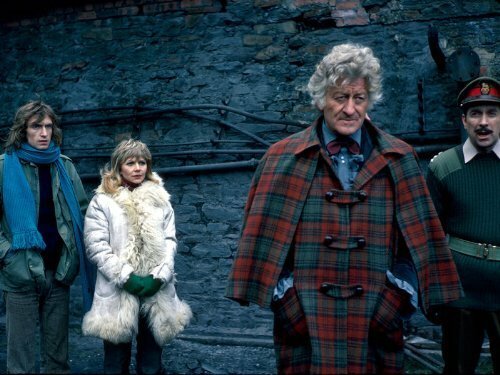 Season nine is truly the middle point of the Pertwee Era in all ways imaginable. 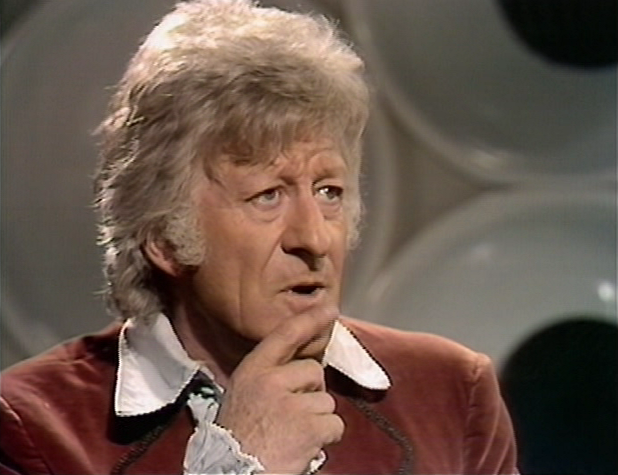 While the first two seasons of the Pertwee Era were almost entirely on earth, the last two seasons only had him on modern Earth if if felt like it as his exile was removed in season ten. That leaves season nine which has one story completely modern Earth, two stories of Modern Earth with some time travel shenanigans, and two off-world stories. The show was transitioning out of the Earth and UNIT stories and the transition was fairly rocky as most of these stories aren't really that great. Season Ten of Doctor Who ran from December 30, 1972 to June 23, 1973. It contained 26 episodes across 5 stories. Season Ten was another important year for the show. Not only did it celebrate it's tenth anniversary with a wonderful special which included both William Hartnell and Patrick Troughton, but it also ended the Doctor's exile. He was now free to roam the stars as he once was. This was a double edged sword. 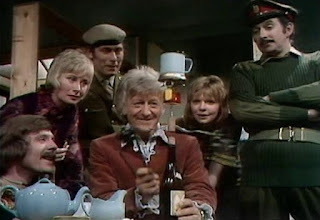 While this allowed for more freedom to write unique stories, uniqueness wasn't exactly a strong suit of Pertwee's Era. 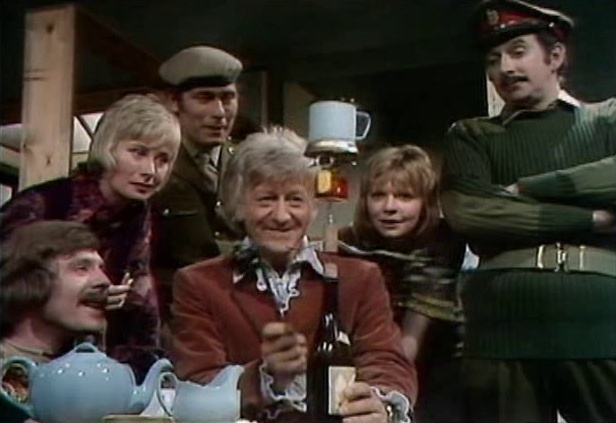 This also put a solid end to the UNIT family that Pertwee had been used to acting with. Along with the leaving of his companion and an unfortunate death, it was a season of change that would eventually prove too much... but we'll get to that next time. The first story of season nine is Day of the Daleks and it's four episodes long. In the 22nd Century, the Daleks have not only taken over Earth once again but have done so by the use of crude time machines. When a rebel travels back in time to kill a man named Styles who is organizing a peace conference, the rebel inexplicably vanishes before Styles' eyes. The Doctor and UNIT are sent in to investigate. 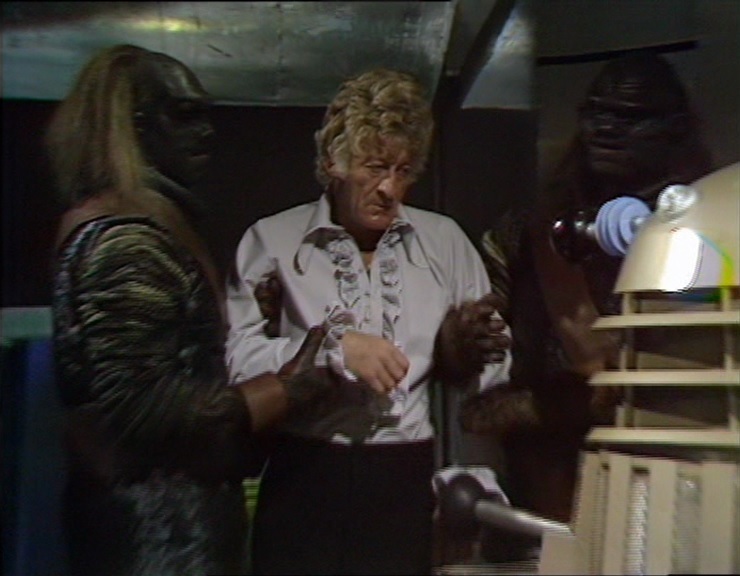 Eventually the Doctor learns that the Daleks are planning to conquer the galaxy in all points of time with the devices and a little help from their gorilla-like subordinate aliens, the Ogrons. The rebels came back in time to stop the Daleks from invading by stopping the massacre that happened at the peace conference; they believe Styles organized the tragedy. As it turns out, the rebels' attempts to stop Styles is exactly what is going to set their future into motion, so the Doctor must find a way to get past the Daleks and to the peace conference to stop the tragedy from ever occurring. This one is...complicated. There's a lot of plot points and happenings that I couldn't go into without dragging this review on forever. It's a case of way too much information in a single story, and the story hurts because of it. It's pretty bad. Granted it's a lot better than much of the 80's bad episodes but I've watched this several times and can only pull about three things worth noting at all. This is he first time in five years that we've seen the Daleks. They were supposed to be wiped out in Troughton's Evil of the Daleks story as Terry Nation intended to make his own show about them. Since that never happened they came back. This one is also notable for two other things; the first being the unusual use of time travel and paradoxes. While this would be more common later in classic who and very common in modern who it just wasn't explored that often back in this era. Also this most famously shows a scene with the Doctor using a disintegration gun and destroying at least one Ogron... something the Tenth Doctor said he would never do. The next story is The Curse of Peladon and it's four episodes long. 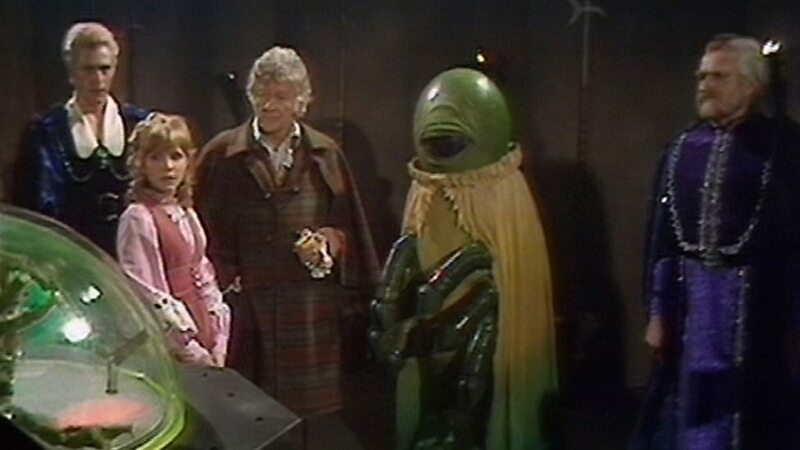 The planet of Peladon is ruled by a young king who is on the verge of joining the Galactic Federation. The Doctor and Jo start messing with the TARDIS and it lands them on Peladon. Believing him to be the delegate from Earth, he meets with the other delegates, including some Ice Warriors from Mars, and they begin negotiations. However the image of Agador, the Beast of Peladon keeps appearing and accidents constantly happen around the delegates which Jo blames on the Ice Warriors. 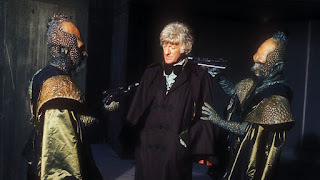 It turns out that Hepesh, the priest of Peladon has been controlling an animal which looks like the mythical beast and has been framing the Ice Warriors for his crimes. Eventually the Doctor finds the beast and hypnotizes him as Hepesh and his forces hold the King hostage. The Doctor brings the beast to the throne room who kills Hepesh. The delegates agree to allow Peladon into the Federation as the Doctor and Jo sneak off when they see the real delegate form Earth arrive. This one is actually really good. It's the best story of the season. I like when there's an ensemble of random aliens around especially when many of them look very alien rather than just humanoids with animal or random bits attached. It's also nice to see some aliens which are usually characterized as villains be the heroes for once. While that status changes back to villain the next time we see the Ice Warriors, it was nice to see them in a different light here. Also King Peladon is played by David Troughton who is Patrick Troughton's son. You'll see David again but not until late in the Tennant era. If you like Star Trek Deep Space Nine then you might enjoy this as it holds some thematic similarities with that show. The next story is The Sea Devils and it's six episodes long. The Master has been imprisoned indefinitely by UNIT on an island and has claimed to have been reformed. The Doctor and Jo visit him briefly but are then told of an incident where boats are going missing from the nearby area. 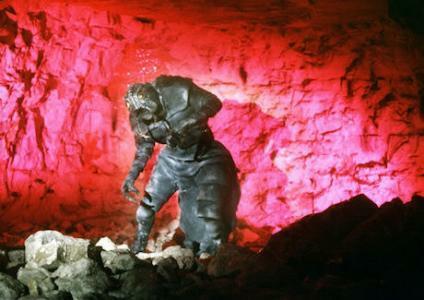 They investigate and are attacked by water-bound Silurians which a man calls "Sea Devils." It turns out that the Master has duped his prison guard and has built a device to control the Sea Devils so that he can make an army of them to take over Earth. The Doctor uses a diving bell to investigate the Sea Devil base and attempts to negotiate peace with them but the military attacks which allows the Doctor to escape. Eventually the Sea Devils attack the naval base on the Master's orders and take the Doctor with him to the Sea Devil base. The Master forces the Doctor to build a machine to revive the Sea Devils all over the world but both the Master and the Doctor are imprisoned once it's complete. 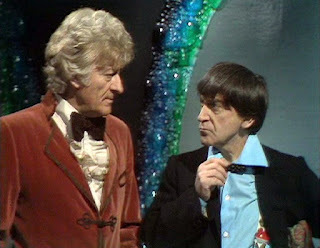 The Doctor and Master escape as the Doctor explains that he sabotaged the machine. The machine blows up the Sea Devil base but the Master gets away once again. This is a fairly standard Pertwee episode. It drags a bit in the middle but it's mostly decent. There are two things to note about the actual content of the episode. The Master in this story is seen either thinking children's television is real or messing with people's heads and making them think that's what they believe. This showed up again in Tennant's era where the Master watches Teletubbies, so Russel T Davies must have believed he was being serious. There's no real answer if this is correct. The second noteworthy thing about this is that the Sea Devils don't actually call themselves that. 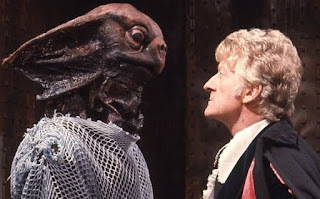 An addled factory worker calls them Sea Devils... yet somehow later on in Davison's era they start calling themselves Sea Devils. The next story is The Mutants and it's six episodes long. The 30th century, Earth has started to decolonize the planet of Solos to give it back to the native inhabitants. The military Marshal over the area doesn't want to do that and is taking steps to terraform the planet to be more hospitable for humans so that the colonizing will be reinstated. His actions are causing the Solonians to die, but also some of them have started to mutate into a bug-like creature. The Doctor and Jo are sent there by the Time Lords with a special message capsule that will only open for it's intended recipient though they don't know who that is. Eventually the Doctor tracks down the Solonian intended for the package and together with help from a scientist the Doctor figures out the the Solonian year is two thousand years and the mutations are a natural way to cope with the harsh change of climate every five hundred years. It's up to the Doctor to stop the Marshal's plan to terraform the planet and kill the mutating people. This one is not very good either. It's supposed to be a parable against racism but it's extremely mishandled in its execution. It's weird to say that a story involving an alien race that changes from humans, to bugs, to ghost-like celestial rainbow beings due to their planet a 500 year summer cycle could be boring but it honestly is. There are some pretty good performances in the military double act that join the Doctor but that's about it. The last story of season nine is The Time Monster and it's six episodes long. The Master has gone undercover at Cambridge to perform some time experiments on a trident shaped crystal in his possession and trying to use it to attract Kronos. The Doctor investigates Cambridge after a tip that the Master may be back and sees evidence of the time experiments. He theorizes that the Master's goal is to control Kronos in order to destroy all of time itself. However, the Master is having trouble because the larger crystal to summon him is in the past on Atlantis. The Master uses his time experiments to bring Krasis, the High Priest of Kronos back from history but using Krasis' Seal of Kronos isn't helping. The Master needs the large crystal. The Doctor and the Master then start trying to foil each other with time shenanigans resulting in historical figures coming to the present and Sergeant Benton being reverted to a baby. Eventually the Master and the Doctor land in Atlantis. After some political intrigue with the ruler of Atlantis, Krasis summons Kronos with the large crystal who destroys Atlantis. Both the Doctor and the Master's TARDISes land within the time vortex and the Doctor manages to free Kronos who wishes to kill the Master. The Doctor pleads for the Master to be spared and then returns to the present to fix everything that had gone wrong with time. This is bad. It doesn't sound bad from the plot I gave you but it's really bad and confusing. I've honestly watched this one no less than three times and I still had to read the wikipedia page on it to even explain to you what happens in this. I'm fairly certain two of the three times I fell asleep. This one is weird in its existence at all because the second Doctor's The Underwater Menace already dealt with the destruction of Atlantis... so why are we seeing this again with a different reason for it's destruction? This story is utterly insane. While the portions where random time effects were happening was entertaining and fun, everything else about this was boring or confusing. Give this one a skip. The first story of season ten is The Three Doctors and it's four episodes long. When a small box lands suddenly in the English countryside, UNIT and the Doctor come to investigate. The strange substance inside the box appears to be some sort of anti-matter and touching the mobile substance causes you to instantly be teleported into the heart of a black hole. At the same time, the Time Lords on Gallifrey are experiencing a massive power drain. The source of this drain is also that same black hole. It's time to call upon the Doctor to help them but one Doctor may not be enough for this big of a problem. They use their time scoop to pluck the Second Doctor out of his time stream and into the Third Doctor's time. The pair do not get along whatsoever so the Time Lords attempt to scoop out the First Doctor as well. Unfortunately they don't have enough power to fully pull him out so he can only be of use in guidance through the TARDIS console screen. Eventually more beings of antimatter attack the UNIT base and both the TARDIS and the UNIT base are transported deep within the black hole. Inside is a Time Lord known as Omega. He is basically the founder of the Time Lord race and created the technology to make time travel possible. His discovery, however, caused him to be sucked into the black hole in a world of anti-matter and has been getting more and more angry at the Time Lords over the last few centuries. Both the Second and Third Doctor trick Omega into believing they are with him and send UNIT back to Earth. Once everyone is in the clear, the Doctors cause an explosion that seemingly destroys the anti-matter world and returns them to Earth. The First and Second Doctors return to their time streams and the Third Doctor's exile is pardoned entirely. This is not only an extremely important story but it's also one of the best anniversary specials that the show has created. This was the first time that we had seen the Doctor meet up with himself. Troughton and Pertwee's Doctors didn't get along well at all which partly stemmed from the actors' completely different acting styles. Pertwee was very "by the script" and proper whereas Trougton was constantly ad libbing. It was great to see Troughton again bumbling around, playing the recorder and annoying everyone in authority including his older self. 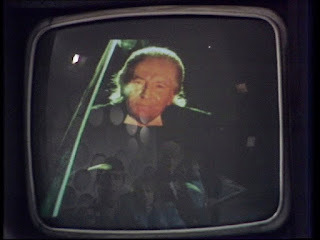 However it was even more wonderful to see Hartnell back. Originally Hartnell was supposed to play a more active role and agreed to do so when he was still having good days. Sadly, he was pretty much having nothing but bad days so they had to reduce his role to sitting in some scaffolding in the studio and reading directly from cue cards. 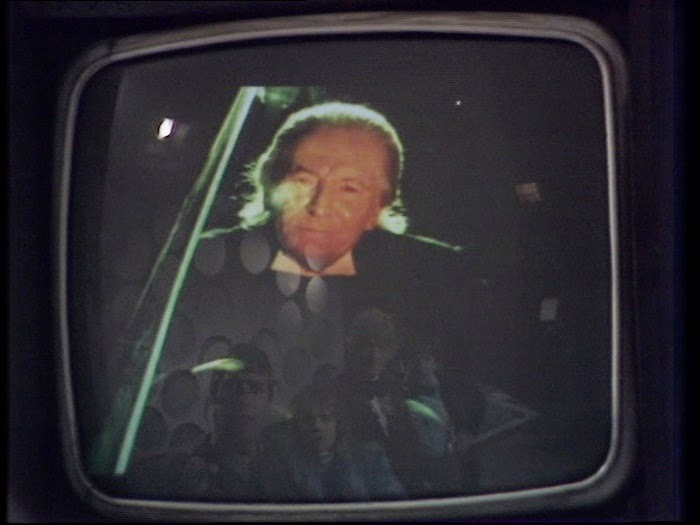 Though this isn't the last time we'll see the First Doctor, it's the last time we'll see William Hartnell as he passed away not long after this. One more very important thing about this episode was that it ended the Third Doctor's exile. Now he would only be on Earth if he really wanted to. While this opened up the way for more varied stories and locations, it was yet another nail in the coffin for the UNIT family. The next story is Carnival of Monsters and it's four episodes long. The Doctor has decided to take Jo to Metebelis Three, but misses it entirely and lands on the SS Bernice, a ship that had suddenly vanished in the Indian Ocean. They are captured as stowaways but observe some strange things as time appears to be repeating itself and there are certain alien structures on the ship that the crew don't notice. The Doctor and Jo open one of these alien hatches and appear to be inside a machine. They travel for a bit and end up in a sort of Marshland where they start to be hunted by fearsome creatures known as Drashigs. The Doctor suddenly realizes that they have materialized inside a mini scope, a device outlawed by the Time Lords which takes people, creatures, and their environment and compresses them down to a minuscule state and placed on a time loop for the enjoyment of people looking into the mini scope. Outside the miniscope, a traveling showman and his assistant have landed on the gray, dull planet of Minor and are being interrogated as spies by three tribunal members. The showman not only notices that the drashigs have caught the scent of something and are escaping into the circuitry but that there is a strange blue box in the ship area that shouldn't be. He removes the TARDIS and it grows back to normal size once outside the machine. Two of the tribunal, unhappy with the way things are on the planet decide to allow the drashigs to escape the machine and run amuck. Eventually both the Doctor and the Drashigs escape. It's up to the Doctor to shut down the mini scope and stop the drashigs. There are a few interesting things about this story. First, one of the people on the ship was played by Ian Marter. We'll see him be a companion to Tom Baker in a couple seasons time. Secondly, this whole story can be viewed as a sort of parody of Doctor Who overall. A strange showman and his beautiful assistant trying to show off strange and bizarre creates on a screen, but the bland and boring executives can't seem to grasp the concept. Not to mention that the creatures in the story, the Drashigs, are an anagram of dishrag which is a stab at the poor quality of the effects at times. It's a lot more interesting of a story when viewed that way. Definitely worth a watch! The next story is Frontier in Space and it's six episodes long. When the TARDIS lands on an earth cargo ship, Jo sees a ship approaching. However, a strange sound begins ringing and the ship changes into a Draconian battle cruiser. The ship's crew panic and send out a distress signal. When they see the Doctor and Jo, however, they only see Draconians and lock them up as spies. While in the holding cell, the Doctor recognizes the sound as a hypnotic device that causes you to see what you fear most. The Draconian ship docks and a party begins to board the cargo ship, but the boarders are not Draconians but Ogrons. The Ocrons stun the crew and the Doctor then tie up Jo and steal everything on the ship including the TARDIS. A rescue ship arrives and the crew's memories are addled; they blame the Doctor and Jo for the sabotage. The Doctor and Jo are taken to Earth where they are questioned by both the Earth's president and the Draconian ambassador as relations between the two people have been horrid. Eventually the Doctor is sentenced to a penal colony on the moon for life and Jo is imprisoned on earth. At the same time a commissioner from another planet has "proof" that the Doctor and Jo are from his planet and are serial criminals to be taken back there; it's the Master. 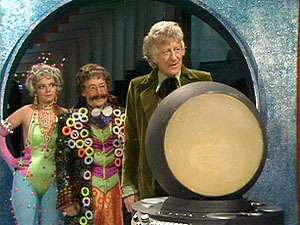 The Master gets Jo and takes custody of the Doctor from the moon as the Master's employers are interested in him. The Master makes for the Ogron planet, but a Draconian ship catches them and takes them to see the Draconian Emperor. Eventually the Doctor gets both Draconia and Earth to understand it is the Master and the Ogrons who are inciting a war between them. 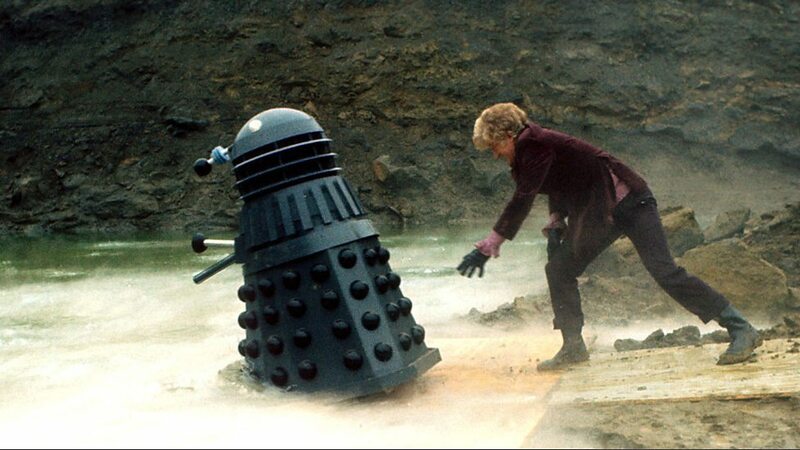 Both worlds agree to work together and convene at the Ogron planet where the Daleks appear to exterminate the Doctor. The Master pleads with them to allow him to keep the Doctor alive until the galaxy is destroyed. They agree, but the Doctor is able to escape with Jo to the TARDIS. Getting wounded in the escape, the Doctor uses the telepathic circuit inside the TARDIS to travel away from the Ogron planet as he collapses to the ground. This story has a LOT going on and I do mean a lot. I skipped over quite a bit of plot just to make it as short as possible. The Draconians are one of the classic series most popular and iconic alien races that somehow only got one story about them. They've been mentioned a couple of times in the new series but we've never been able to see them on screen since this story. The Draconians are basically space samura; a race of beings totally obsessed with honor and are excellent at fighting. I really hope they bring these guys back sometime soon. This story also is fairly unique as it ends with a sort of cliffhanger where the Doctor isn't doing well. It directly leads into the next story and you could see these two as kind of a big 12 part story in many aspects. The last notable thing is that this story is the last appearance of Roger Delgado as the Master. It wasn't supposed to be his last appearance but he passed away in a car accident. We will see a regenerated Master in several seasons time but this is the last of the Roger Delgado Master. It's a shame because he was such a good actor and a good Master; I wish his last episode would have been something more spectacular. The next story is Planet of the Daleks and it's six episodes long. With the Doctor unconscious and healing, Jo spends her time aboard the moving TARDIS trying to care for him. The TARDIS eventually lands on a jungle planet and Jo goes out exploring for the Doctor. The Doctor wakes up to find that the oxygen supply is dangerously low due to the plants outside covering the TARDIS with a green goop that is hardening into a shell (however that works.) As Jo discovers a space ship, a group of explorers discover the TARDIS and chip off the shell rescuing the Doctor. The Doctor wakes and seems to be familiar with these people. They explain that they are the Thals from Skaro and the Doctor explains he met their ancestors many ears ago with Ian, Barbara, and Susan. Jo falls ill to a fungus she contracted from the plants of the Jungle but is looked after by an invisible local alien who has been fighting to stop the invaders of their planet. The invader, of course, are the Daleks who happen to appear around the TARDIS and take the Doctor and one of the group. Eventually the Doctor escapes as Jo and another Thal start planting bombs. The bombs explode exposing the base to a sort of molten ice that freeze the Dalek forces in their tracks and won't be thawed for centuries. The Doctor urges the Thals to explain to their people that war is a terrible thing so that they can return to their previously peaceful ways as he and Jo hop into the TARDIS. Well this is a story that... exists. Let's get right down to the core here; this is not a good story. I've watched this story three or four times now and I just can't really find anything worth talking about here. The only thing that is really unique about this story is the molten ice which is a sort of a negative lava sort of substance. That was cool but every single other thing about this story is boring and completely forgettable. Definitely give this one a pass unless you want to watch the entire series. The last story of season ten is The Green Death and it's six episodes long. The Doctor has fixed his navigational settings and intends to take Jo to Metebelis Three, however Jo sees in the paper of a miner who had suddenly died and was glowing green. Jo goes with UNIT to investigate the death and meet with an environmentalist whom she was enamored with; the environmentalist, Clifford Jones, was to be protesting a chemicals plant which could have something to do with the miner's death. The Doctor decides to join them but only after visiting Metebelis Three. Unfortunately for the Doctor, Metebelis Three isn't the paradise he believed and barely escapes with his life and a single blue crystal for all his trouble. The Doctor then drives to Wales to join the brigadier and Jo. Jo and the Doctor eventually go down the mine shaft where they find green slime that poisons anyone who touches it as well as gigantic maggots. After crossing a lake of the toxic green sludge, the Doctor takes a maggot egg to examine and the pair head to Jones research facility. There, Jo continues to fall for the environmentalist and work closely with him eventually finding a cure for the toxicity. The Doctor heads to Global Chemicals and infiltrates the top layer of the establishment. There he finds the BOSS, a megalomaniac computer who has been using mind control to take over the world. As Jo and UNIT begin spreading the cure and killing the maggots, the Doctor releases the human head of Global Chemicals from his hypnosis with the blue crystal. The man blows up the chemical plant so that no one else could be harmed by the BOSS. As UNIT celebrate their victory, Jo and Glifford announce their engagement. The Doctor gives his blessing, presents Jo with the crystal, and quietly leaves the party. The Green Death is a fairly good story and has one massively important piece to it. Jo will no longer be the Doctor's companion. Now while we've seen companion departures before, Jo's departure had a lot more weight. It was suggested in subtext within the show that Jo was quite possibly the first companion the the Doctor had actually fallen in love with. It wasn't blatantly obvious as it would be with the likes of Rose later on in New Who but it was there. The Doctor quietly sinking a glass of wine and driving off in silence is such a powerful and subtle scene. This decision also changed things behind the scenes and would ultimately cause Jon to leave his role as the Doctor next season. Since it is a six parter, you should know that I feel it's a tiny bit too long but there is legitimately only one bad thing about this whole story. That would, of course, be the truly awful blue screen effects and the fly monster I completely skipped in the plot. Everything else was great. So ends Seasons Nine and Ten of Classic Doctor Who. Season Nine is an incredibly mixed bag of weird, good, average, bad, and awful. There's not a whole lot I can say about it as a whole because everything was just so vastly disjointed in quality and context. Season Ten on the other hand was one of the more influential years in the show's history. It hit it's first landmark season. It set a standard for Doctors meeting each other that has only been done four times. However, more important than those two things were the vast amounts of change that the show went through both intentional and accidental. Jon Pertwee loved the sort of UNIT family feel of his earlier seasons. He liked being surrounded by regulars and once the exile was lifted at the beginning of this season, UNIT's involvement would be lessened significantly. He had a great working relationship with both Roger Delgado and Katy Manning, and he wouldn't get the chance to work with either of them on the show again. All of these changes took a toll on the man and he decided that it was his time to go as well and he would after the next season. Please join me again as we continue to examine all of Doctor Who.